Preschool boys are so much fun, even when they’re being loud and boisterous. I’ve gathered my gift ideas for preschool boys – perfect for Christmas, Hanukkah, birthdays and more! In my house, LEGOs rule. We started out with the larger Mega Blocks for the babies and toddlers, then moved quickly on to Duplos. Over the past few years, we’ve been enjoying sets from Lego Education. 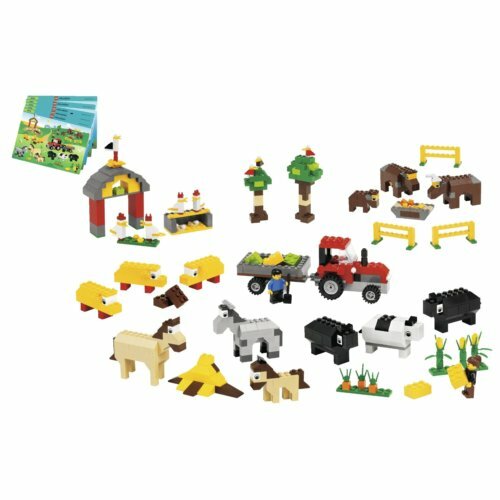 Our favorite is this Lego Education Animals Set. It’s four different habitats, including dinosaurs. My children love to take a blanket to the front yard and make LEGO creations while they sit under a tree. Now I’m on the hunt for a Lego organization system so that the baby doesn’t eat them. This Christmas, the boys are asking for this LEGO fairytale set. I have to admit, I might sneak off and play with some of these mini-figs, too. My children enjoy watching BBC’s Merlin with me. They love seeing the knights in their armor, in tournaments and in battle. At least once a week, they play “Knights and Castles”. 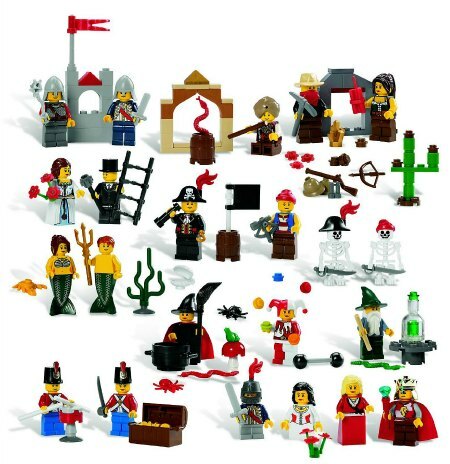 Playmobil has a huge array of pretend play figures, including knights and castles. My boys would like this Lion Knights Troop to re-enact scenes at home. 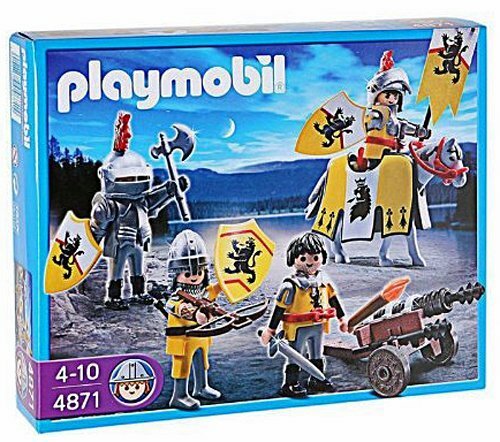 For more fun, Playmobil even has a knights knowledge quiz. 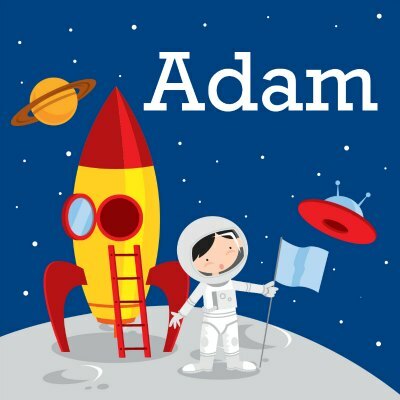 Know a little boy who loves the idea of being an astronaut? 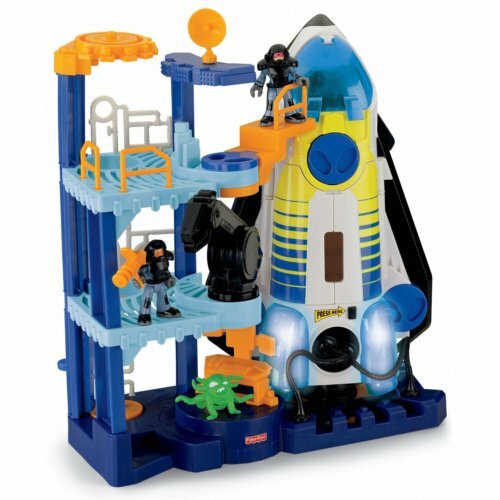 How about this Fisher Price Imaginext Space Shuttle? My twin boys are big fans of Imaginext – we have a pirate ship and ocean explorers boat. You’ll find my boys staging war between pirates and navy divers. Even Daniel enjoys the Imaginext ships — I just have to make sure the torpedoes are put away. My boys LOVE doing crafts just as much as their sisters. I forgot about our Kiwi Crate that we had in the closet, and I brought it out during a rainy day. The boys jumped right in with Rachel, making felt farm animal puppets and growing their own garden of radishes and grass! The boys and Rachel are ready for Kiwi Crate with minimal help. Younger preschoolers would enjoy the Koala Crate level — I’m anxious to try this out for Maeve soon. 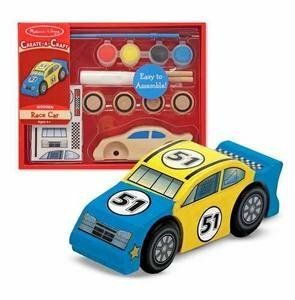 Melissa and Doug have some decorate your own kits for boys. I have the race car kit in a box downstairs, ready to be wrapped and put under the tree. 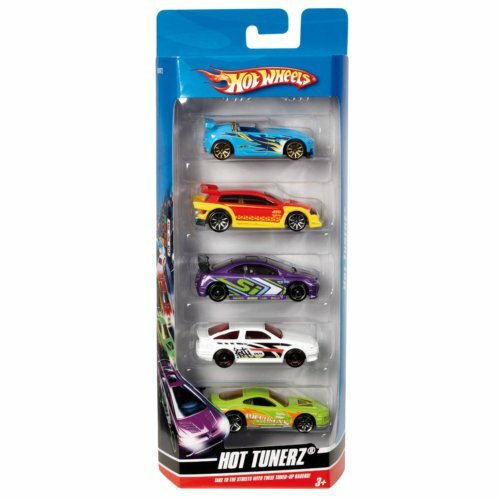 No matter how many Hot Wheels we collect, they never seem to have enough. 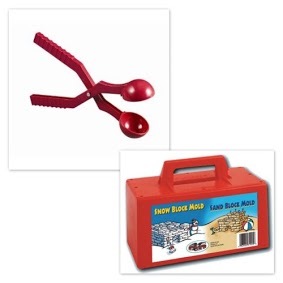 We play with these inside, outside, and even on road trips. 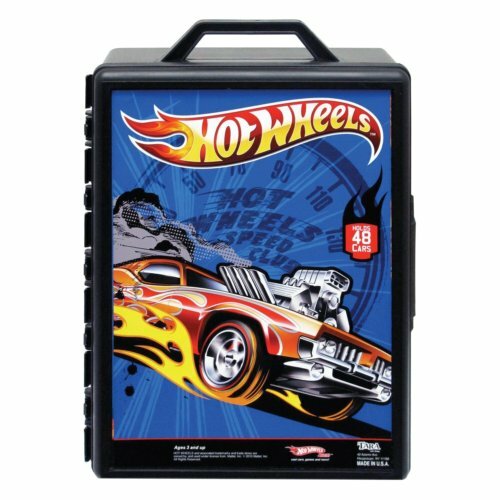 Don’t forget to pick up a carrying case and a racetrack. My guys love getting new underwear, especially if they have a fun design or favorite characters. These are a great idea for stocking stuffers! Taking a cue from their sisters, my boys take pride in looking handsome. They like to wear sweaters and khakis like their Daddy, but they really love shirts with dinosaurs, pirates and fire trucks. In their closet, you’ll find adorable pieces from Gymboree. Boys need to exercise their hands to learn to write well. Working with playdough is fun, plus strengthens muscles needed for fine motor skills. 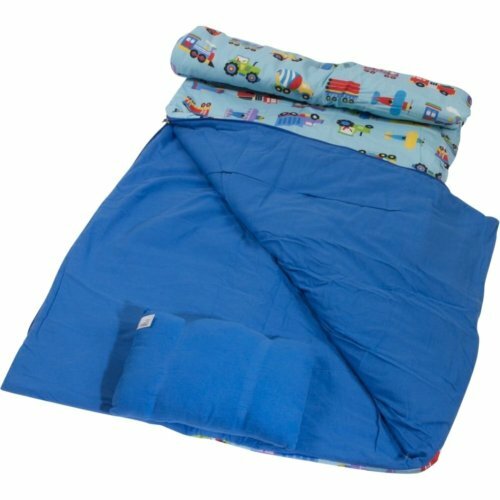 Sleeping bags are fun for sleepovers, backyard camping, or family movie night. Have a playroom? 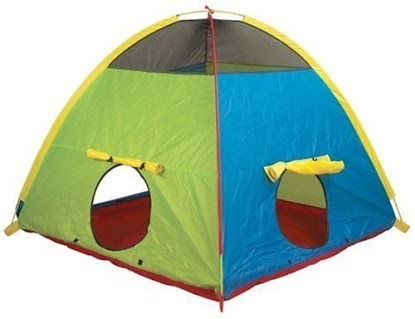 Set up this tent indoors, or if you’re brave, in the back yard. 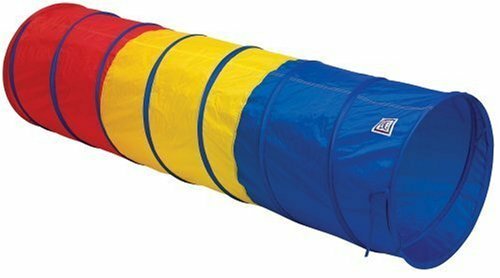 My children have enjoyed these nylon crawl through tunnels for 2 years or more. Added bonus? They collapse down small for storage. 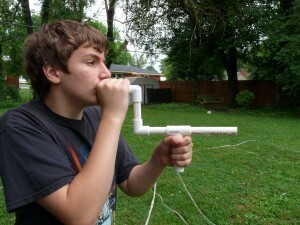 Have budding scientists on your hands? 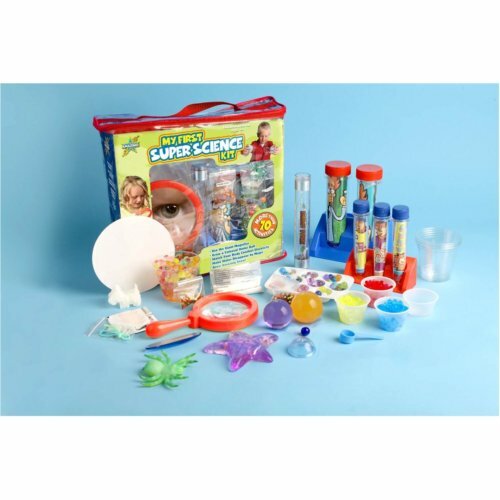 Teach them some simple science concepts while having fun with this beginner science kit. 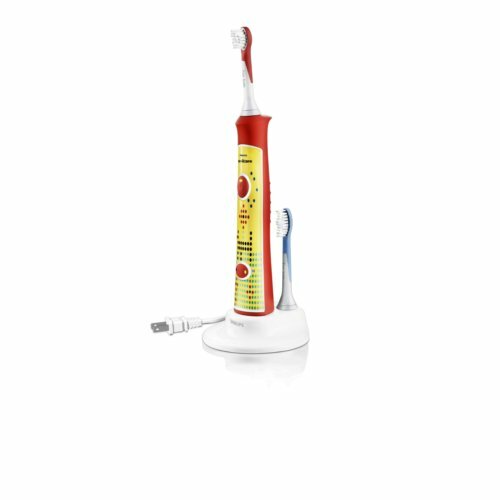 My kids often find new toothbrushes and toothpaste in their stockings. My husband is a former soccer player and my boys already love the game, too. 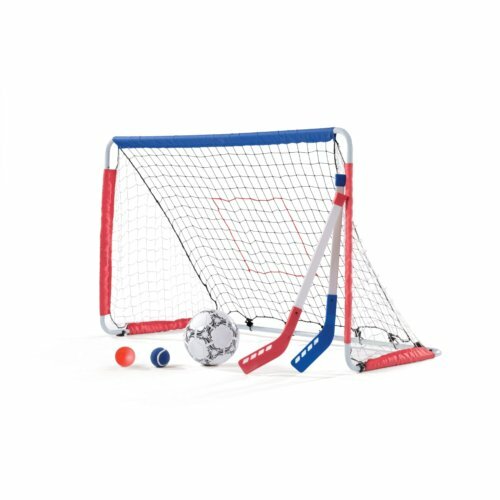 You can create your own soccer pitch in your backyard with this soccer goal and soccer ball. 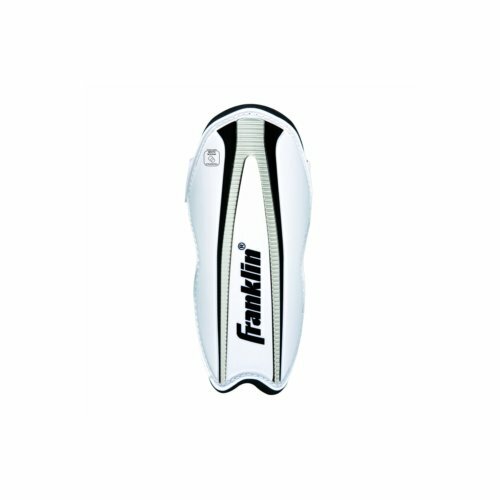 Don’t forget, you’ll need soccer cleats and shin guards. 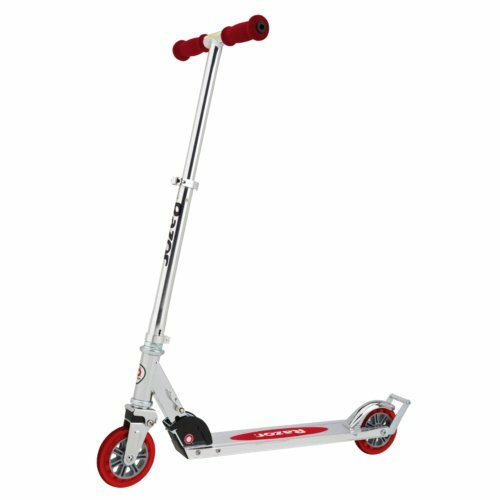 Keep your active boys busy with their own scooter. All three of my big kids have their own, and I’m thinking about one for Maeve, too. Play it safe with helmets and knee pads. No batteries needed here — just wiggle and go! My twins and Rachel have moved on from the balance bikes, but now Maeve has taken over one and is using it already! Children learn to balance first, then pedal later. Don’t forget your helmet! Do you children take over your electronics? 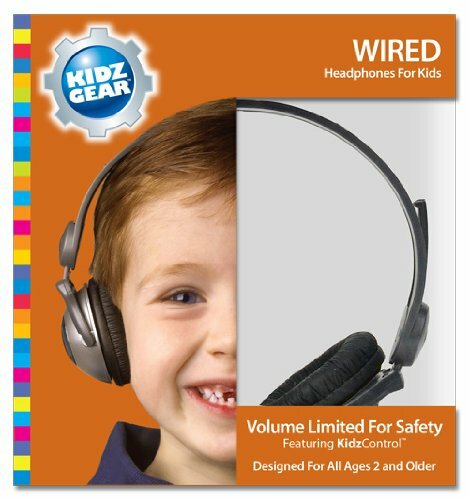 Keep their ears safe with these volume limited headphones. These are great for watching movies, playing games or listening to audiobooks. When spring rolls around again, we’ll be playing tee ball again. 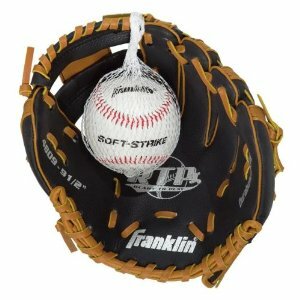 Brett and I are sure to have fun with them in the backyard showing them how to use their gloves and a bat. Need something for little boys to blow off steam in the cold winter months? 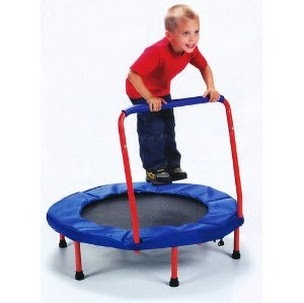 A mini trampoline fits the bill perfectly. They are small enough to stash under the bed when not in use. 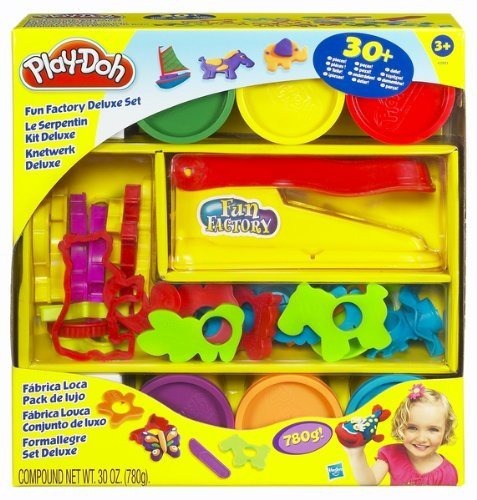 Our friend Colleen sent us one of these sets for a gift, and it kept the boys (and Rachel) busy for hours. I loved the safety goggles that came inside! My boys have a sassy older sister who takes over the TV and runs Barbie and Dora. I like to treat the boys once in a while to a boys only movie. 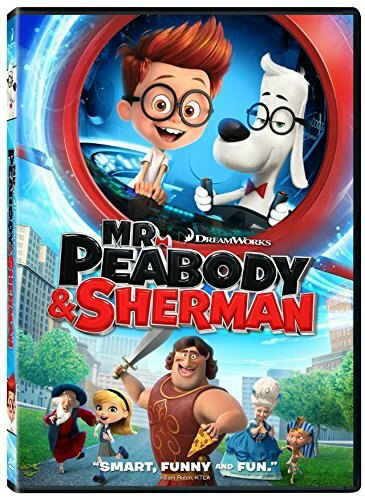 Right now, we’re loving the LEGO Movie along with Mr Peabody and Sherman. I love pieces of artwork, especially customized. I found these canvas wall art pieces from Frecklebox. I’d love to create one for each of my children — I’m just trying to decide which print! When your children graduate from the chunky baby puzzles, I like the 48 piece wooden ones from Melissa and Doug. 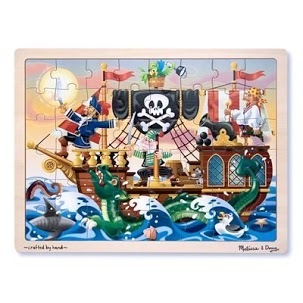 This pirate puzzle is one of our favorites. 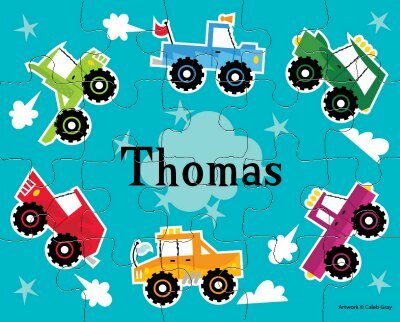 I’m planning on these personalized puzzles,too. Playing board games together as a family can teach little ones to take turns and play fairly, as well as losing gracefully. 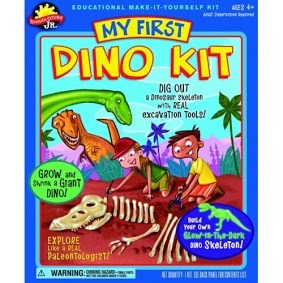 I like my kids to learn while they’re playing, so I have these on my wish list. Zingo 1-2-3 – think Bingo while learning your numbers. Bonus? You don’t have to be able to read to play. 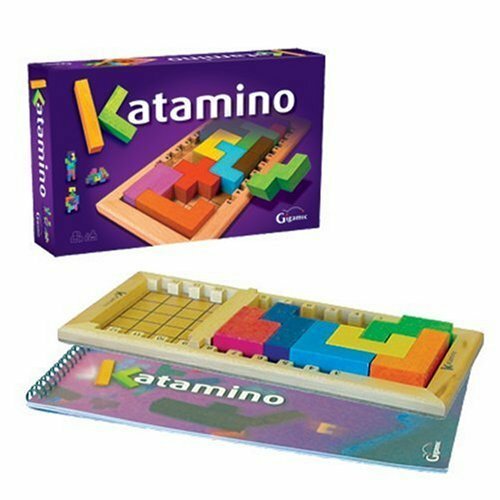 My friend Kaye introduced me to Katamino – a game of spacial reasoning. The boys can play the simpler levels now, while Rachel tackles the more difficult challenges. This is a game that can even stump adults. Although they’re known in our extended family for being wild and rambunctious, bring out some books and my guys will sit captivated for hours. They also love audiobooks at bedtime or in the car. These sweet personalized books from Frecklebox caught my eye. They would make a wonderful preschoolers. In Kentucky, it’s always a toss up if we’re going to get snow. If I bought these for gifts, you can bet it would be 60 degrees all winter. 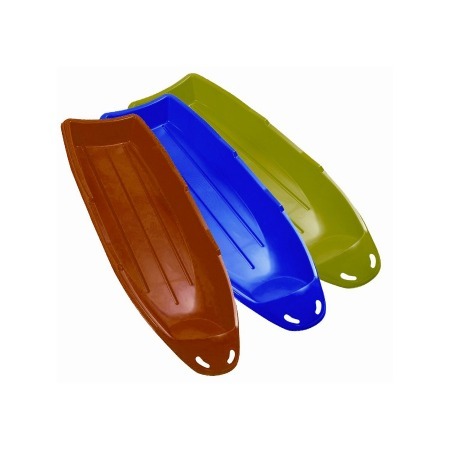 If you live in colder areas, these would be a big hit. We have a park with a giant hill perfect for sledding in our area. I’ll pick these up for my kids to have just in case. I love giving and receiving consumable gifts — things that will be used up and not get under my feet. Art supplies are always a welcome gift and a perfect rainy day activity. 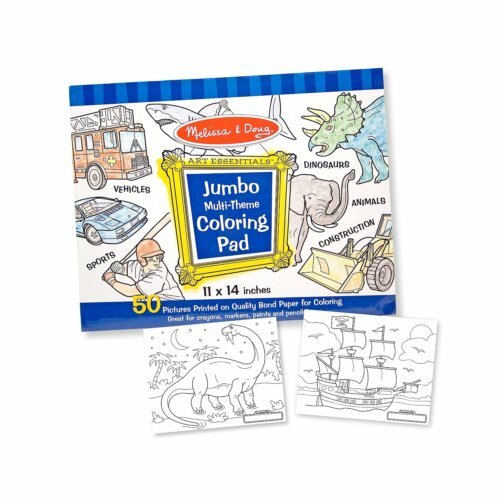 We love Melissa and Doug quality art supplies like this Giant Coloring Pad and these Truck Crayons . We even have the easel at home. 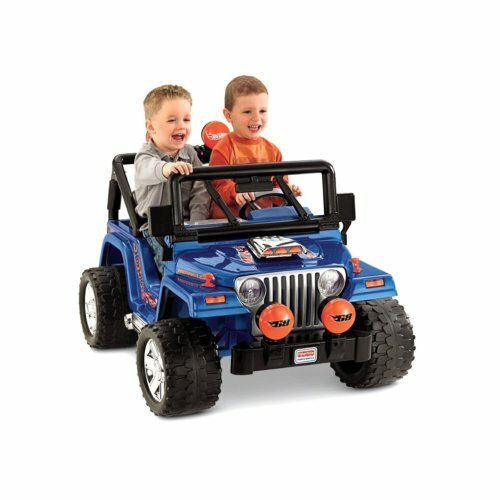 My boys don’t have their driver’s licenses yet, but you can better believe they’d hop in this Jeep and drive away if they could. Better start cleaning out your garage to have room! I bought our Wii a number of years ago as a family gift and have not been disappointed. We purchase games for the kids like Wii Fit, and they have fun watching me play ‘Mom games’ like Epic Mickey. 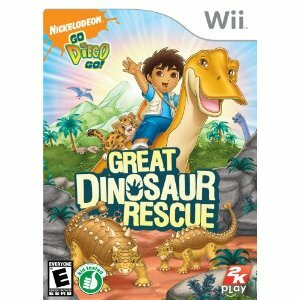 I’d like to pick up this Diego game for them, and maybe some extra Wii remotes. 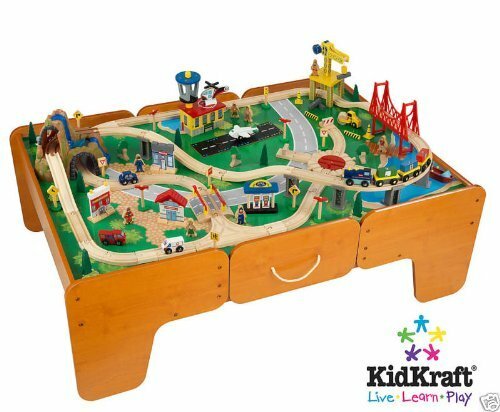 I actually bought my guys a train table and trains for Christmas 2 years ago. It is a wonderful gift, but I’ll be honest – you will need some dedicated floor space. Ours is in the basement right now, awaiting the completion of a playroom. 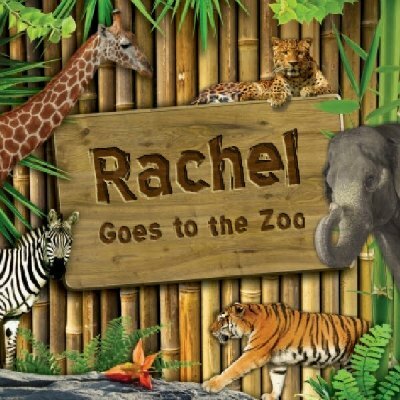 We’ve had a family membership to the Louisville Zoo for years. We go frequently and with a large family like ours, the membership pays for itself in savings within the first few visits. Check with your local zoos, aquariums or science centers for family memberships. 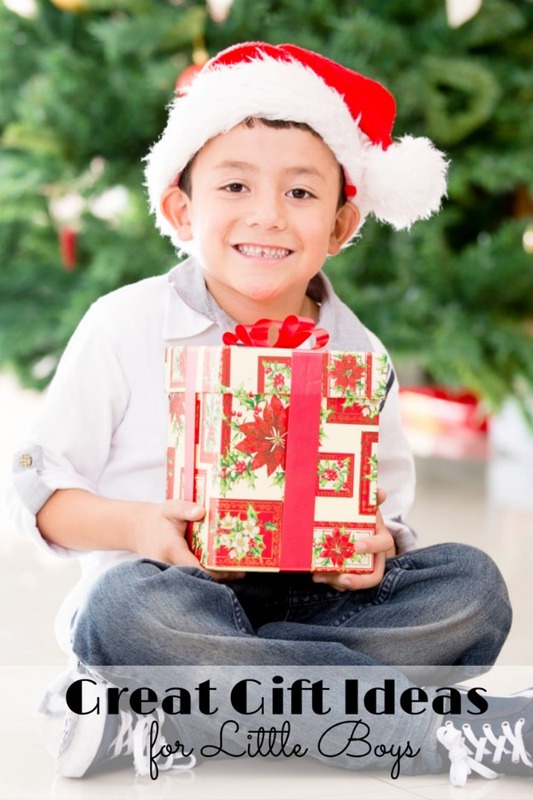 If the boys on your list are involved in sports, ask the family if you can pay for some lessons or sports sign up fees as a gift. My friend Angie has been a boy mother for YEARS, so she’s my go to girl for gift ideas. Last year, she rocked some DIY Marshmallow Shooters that I loved. My guys are at the age now where they would love these. Get out your hacksaw or sweet talk your husband into following these simple directions. I’d have to paint mine red, blue and pink for the Kaboodle. 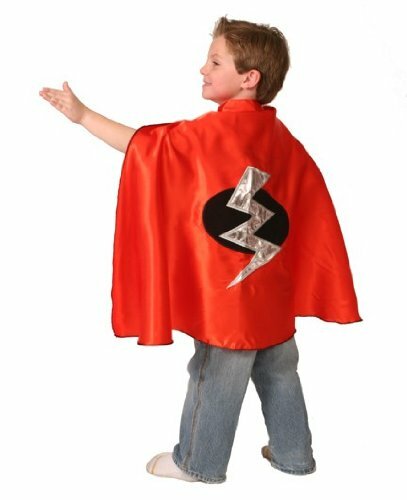 After Halloween, or during consignment sale season, we stock up on discounted costumes for year round play. In my closet, we have dinosaurs, pirates, Spiderman, Buzz Lightyear and more! You could create a dress up trunk with capes and masks, providing your kids with hours of open ended fun! 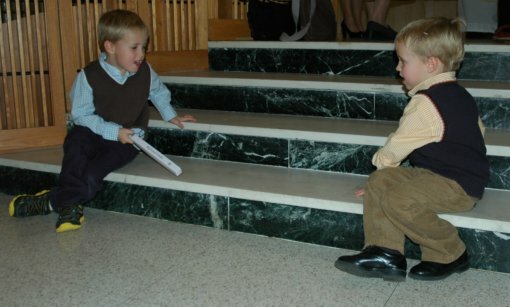 My boys started climbing before they could walk well – seriously. 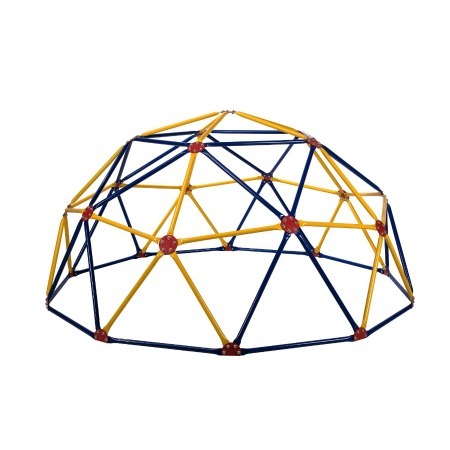 I’d love to have a playground setup in my backyard with this dome climber. My boys are nonplussed by swings, but if they saw this, they’d spend hours climbing all over it. My boys have been card carrying Nerf Gun owners since the wee age of two, thanks to my Granny. 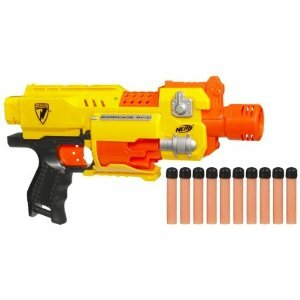 They started out with simple Nerf squeeze pistols, then quickly graduated to the N-Strike Barricade guns. Giving Nerf Guns as a gift? Throw in a pack of extra darts, too. Are your preschoolers learning about money? Do you want to encourage them to save their pennies? I love these personalized banks! Did I leave one of your favorites off the list? Be sure to leave me your best ideas in the comments! P.S. Need gifts for girls? Don’t miss this list. 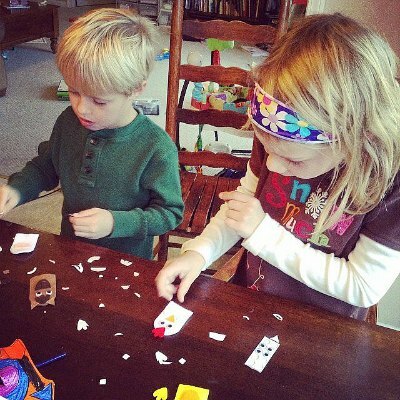 I just did a post about open-ended imaginative play and how it helps in brain development. I love that your toy choices encourage that. 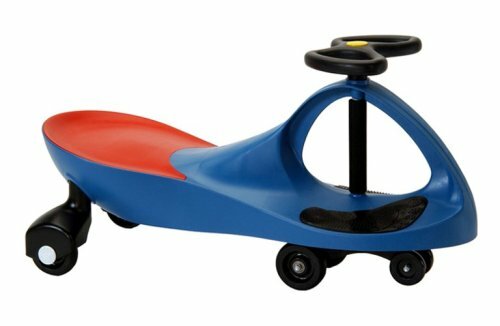 I just bought my son the balance bike for his birthday. I’m excited that he’ll be getting some Hot Wheels too. Love the ideas for Christmas you’ve given. I’ll definitely be keeping them in mind. Thanks for coming by, Jodi! I’m not a fan of toys with lots of lights, bells and whistles! My kids have SUCH an active imagination — I have fun just listening to them play. Their big sister gives them ideas and they just run with it! 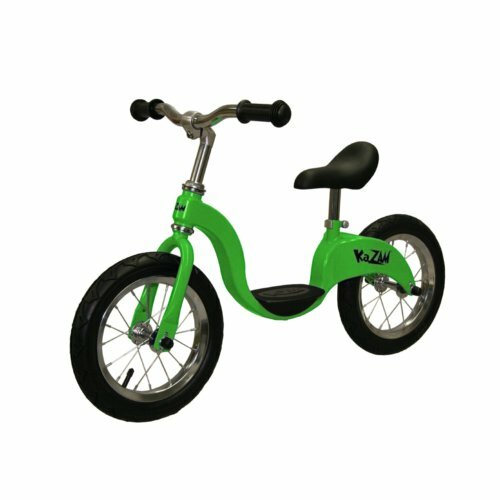 We ADORE the balance bikes — we have three right now. My daughter has outgrown hers, but I think we will keep it for the baby! I’m excited I could help out! Great ideas! We have many of the same on our list for our 1.5 and 3.5 year old boys. (No sense in buying baby toys when he wants to play with big brother’s!) This year they’re getting Imaginext from us and Playmobil from Grandma. And lots and lots of books. Thanks for the list! I know what you mean! Our baby is excited when she sees her brothers play with their cars, and she’s not quite 6 months old! Be sure and visit my friend Mary Jo at 154 Hidden Court. She’s an expert at book lists! That’s a great list. There are tons of active and imaginative ideas. I put together a list too. It’s for kids a bit older. Thanks for stopping by, Julie, and sharing your list, too! Kids would definitely feel elated after getting such lovely gifts. 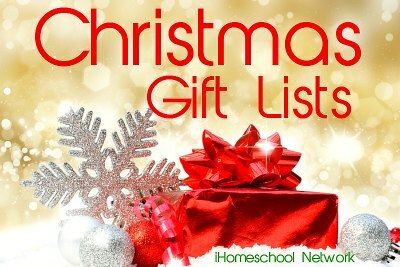 Amazing list covering almost every kind of gift apt for a preschooler. Thank you for your compliments! I’ve had 4 preschoolers thus far … does that make me an expert, finally? Great List! Glad to see a lot of kid powered toys. gracious, we love Merlin and Doctor Who around here! The kids are getting Daleks and Adipose toys. And we love Playmobil. I found a vet set they begged for, but we’re waiting until birthdays for the knights and castles. Great list! First of all thanks for sharing. I’m seriously Lovin your ideas and wish to apply the upcoming Christmas! !